The dome architectural style was introduced to the world by ancient Romans. The hemispherical structural style was adopted by many other civilizations in different period of time. Today it is one of most familiar architectural styles. It continues to used for decorating temples, churches, mosques, monuments and even government buildings. Followings are 10 most popular domes across the world. Sanchi is the most important Buddhist sanctuary in India. The site comprises palaces, temples, monolithic pillars and monasteries. 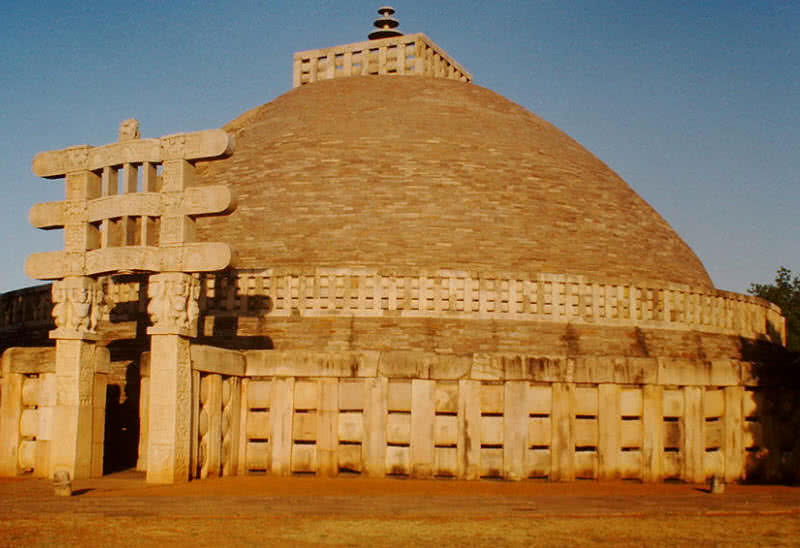 Upon them the great stupa is the most popular monument at Sanchi.It was commissioned Mauryan king Asoka. It is also the oldest stone structure in India date back to 3rd century B.C.E. The monuments of UNESCO also recognized by UNESCO as a word heritage site in 1989. The great stupa is a large hemispherical dome that contain relics of lord Buddha in the center chamber. There is also a sandstone pillar situated near great stupa. It has incription from Asoka the great in sankha lipi. In 2nd century B.C.E the monument was expanded by Sunga emperor Pusyamitra Sunga. It was also decorated with different types of stones and railings at that time. The gateways of great stupa at Sanchi also adorned with different incidents from the life of lord Buddha. 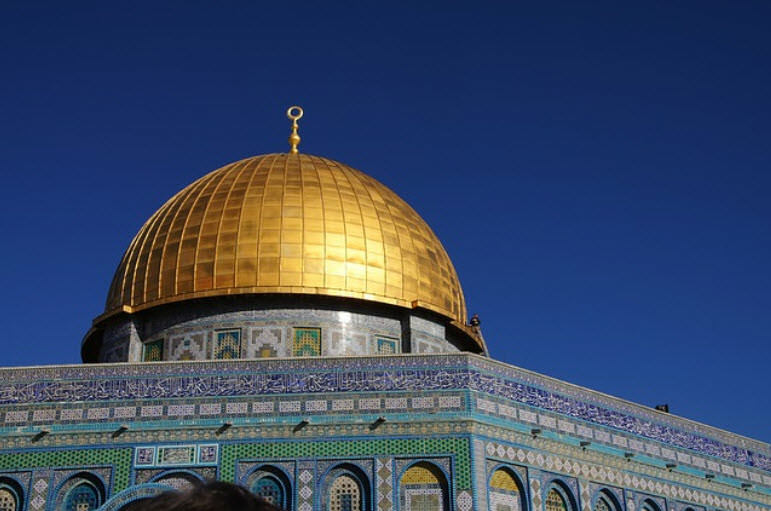 Dome of the rock is the most popular Islamic site in Jerusalem, located in temple mount religious site in the country. The octagonal shaped dome s actually a Islamic shrine and it is one of the oldest surviving Islamic buildings in the world. The golden dome is the most distinct feature of the Islamic shrin. The dome of the rock was commissioned by Umayyad Caliph Abd al-Malik in 7th century. It was built on a sacred rock and Muslims considered the rock as place from where Muhammad ascended to heaven. The architecture of dome of the rock was influenced by the nearby byzantin churches. The dome of the shrin is 20 meter in diameter and has a height of 20.4 meter. The dome was originally made of gold but later it was was replaced by aluminum. It is also covered with golden leafs. Many Arabic inscription also inscribed on octagonal part of the dome that depict number of verses from Quran. The exterior of the dome is also decorated with colorful Persian tiles. Sheik lotfollah mosque is considered as one of masterpieces of Iranian architecture. It is situated in Isfahan province of Iran. It is also called as domed mosque because of it’s flattened colorful dome. The delicate cream colored tiles were used for decoration of the dome. It takes different coloration throughout the day. The dome is 13 meter in diameter and contain series of lemon shaped compartments. There is also a finely carved peacock located at the apex of the dome. 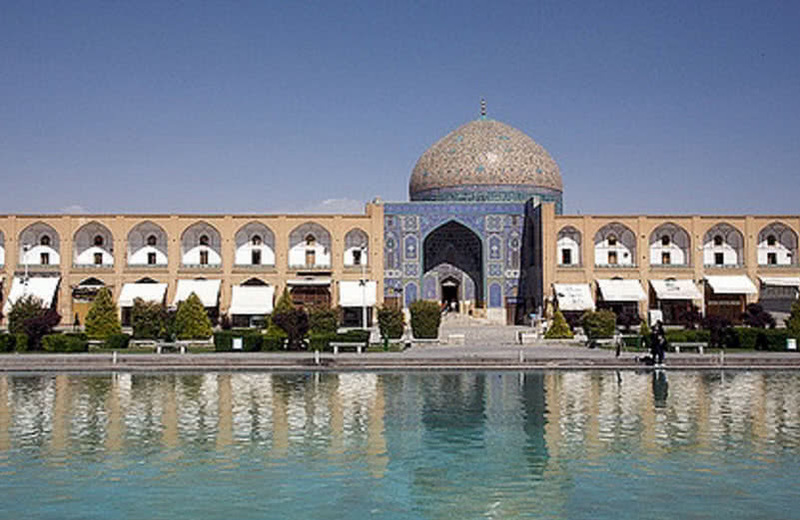 The construction of lotfollah mosque was ordered by Iranian emperor Shah Abbas. The construction started in 1603 and took 16 years for the completion. The mosque has no courtyard and minarets because it was built for private worship. The interior of the mosque features highly decorative ceiling and walls. Florence cathedral is a world heritage site and one of important tourist attractions in the city of Florence in Italy. The official name of the vast gothic styled religious structure is Basilica de Santa Maria del Fiore. 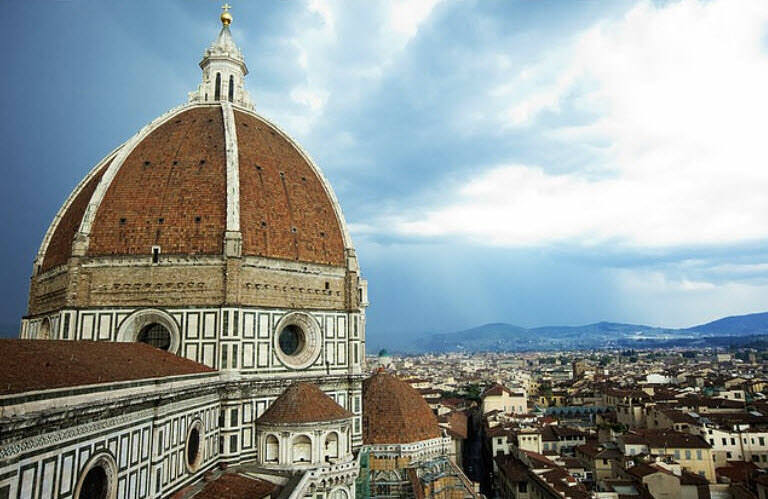 The dome of Florence cathedral is the largest in the world, stading at height of 114 meter. It was designed by Italian architect Filippo Brunelleschi. The construction of Florence cathedral started in 1296. But the overall structure was only completed in 1436. The construction of the dome started in 1420 and complected in 1436. It was the first dome in the world to built without supporting of wooden frames. More than 4 million bricks were used for the construction of dome of the Florence cathedral. Hagia sophia is a former byzantine church located in Istanbul in Turkey. Today it is a historical museum known for art and architecture. The Turkish name hagia sophia means ‘church of holy wisdom. The great dome with diameter of 102 feet is the most remarkable feature of hagia sophia. The dome is supported by four concave sections. A number of smaller domes also towering the structure. The original church was built in 4th century commissioned by Roman emperor Constantius II. The second church was built in the site by Theodosius the great after the destruction of first church. But in 6th century the church was destructed by Nika riots. 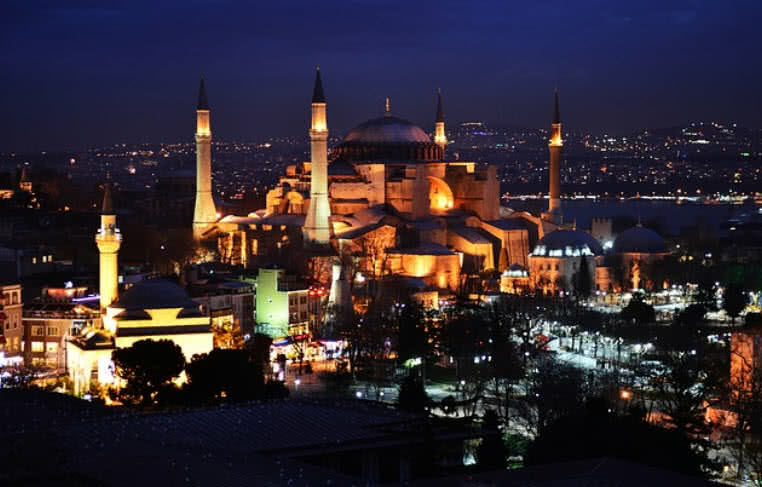 The construction of present building started in 532 by emperor Justinian I and completed in 537. The original dome of the monument was also damaged by series of Earthquakes in 558 and rebuilt in 563. St.Basil’s cathedral is officially known as ‘The cathedral of intercession of the Virgin by the Moat’. The Saint Bail’s cathedral was built between 1555 and 1561, commissioned by prince Evan The Terrible. The building consist of nine chapels in total. All of them built on a single foundation. 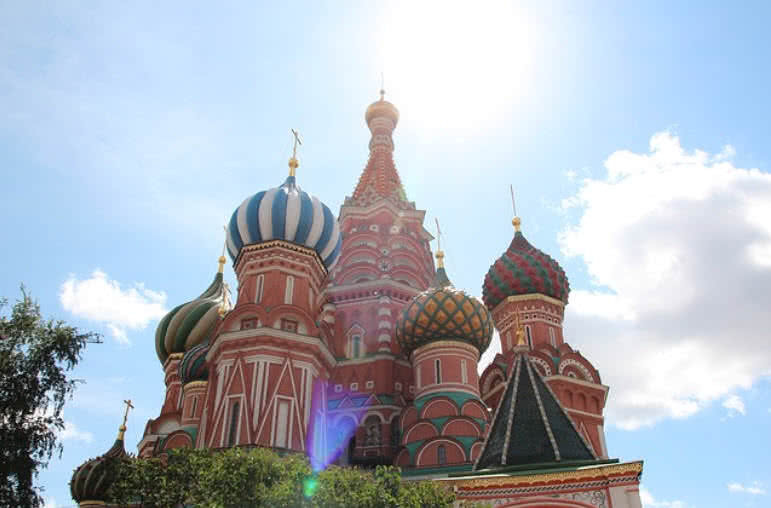 Saint basil’s cathedral is widely popular for it’s attractive colors and shapes. There are eight domes chapels in the site. Four domes chapels are in large octagonal shape and others are in small square shape. The ninth chapel in the center part of the cathedral also decorated with an impressive golden dome. St Peters Basilica in Vatican city is the largest basilica in the world. 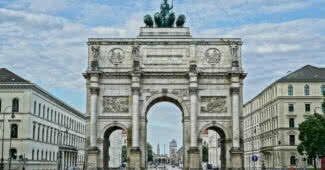 It is also one of the most recognizable landmarks in Italy. The main dome of the basilica is 42 meter in diameter and has height of 136 meter from the base. It is the tallest dome in the world. It was designed by great Italian artist Michelangelo. It was built between 1547 and 1590 . After the death of Michelangelo in 1564 the drum of the dome was designed by one of his pupil named Giacomo Della Porta. 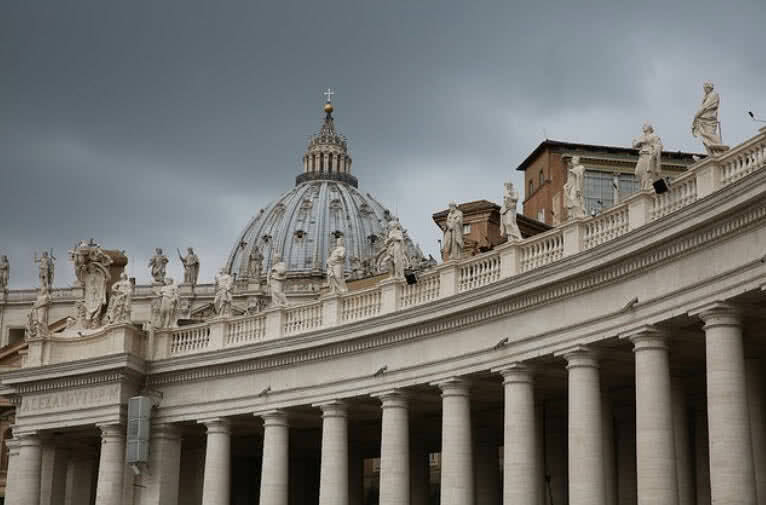 In fact St. Peter’s basilica is second basilica in the site. The first basilica was constructed in 4th century by emperor Constantine. It was demolished in 1506 by the order of pope Giulio II. The present basilica was constructed between 1506 and 1626. Sr. Peters basilica is home to more than 100 tombs, belong to popes and Roman emperors. St. Pauls cathedral is the second largest church in United Kingdom located in London city. 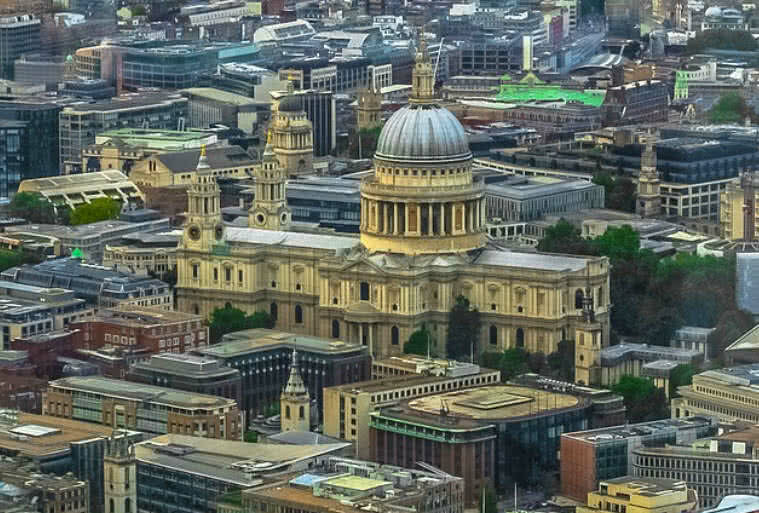 At 111.3 meter high the dome of St. Paul’s cathedral is the second largest dome in the world. It is a three domed-structure. The inner dome is decorated with impressive paintings. The dome is supported by the brick cone between outer and inner dome. It also towering a 580 tons weighing impressive stone lantern. There is a gallery encircling the outer dome called ‘stone gallery’. The rectangular windows in the gallery creates beautiful shades of light. The second gallery around the outer dome called as golden gallery. At 280 feet high the gallery offers panoramic view of the city for the visitors. The most remarkable section in St. Paul’s cathedral is whispering gallery. It is called so because whisper against it’s wall will be audible for listeners at another end. Visitors can access the whispering gallery by climbing 256 steps from the base. 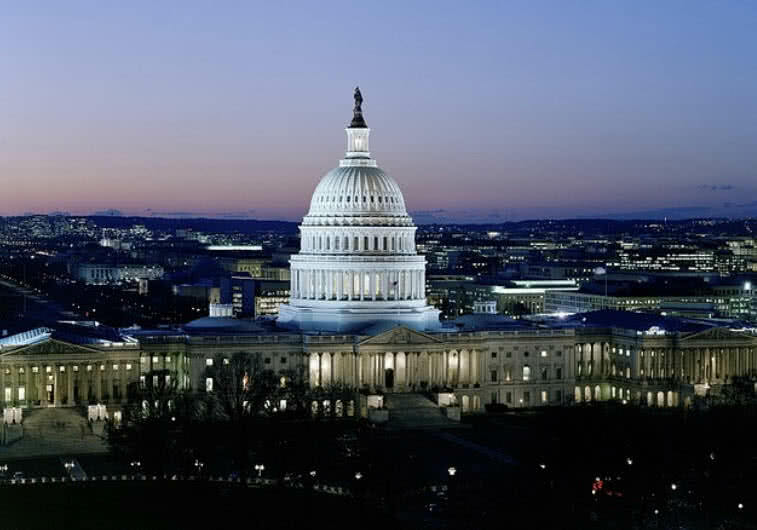 United States capitol dome is one of the most recognizable landmarks in America. It measures 96 feet in diameter and 288 feet in height. It actually consist if two domes, the present dome covers the original dome. The current iron dome was designed by American architect Thomas Ustick Walter between 1855 and 1866. The present capitol dome look like stone dome. But in fact it painted to appears to be like original stone dome. The construction of original capitol dome was completed in 1824, designed by American architect Charles Bulfinch. It was a double domed structure. The outer copper dome of the structure rises to 140 feet. In 1847 the self styled engineer James Crutchett built a glass and iron lantern at the top of the dome. It included reflectors that illuminate the rounded floor called rotunda below the capitol dome. In 1851 the architect Thomas U. Walter presented plans for extension of capitol building and dome due to increase in population of U.S congress. The original wooden dome was removed in the 1856. The construction of present capitol dome was started in 1857. Statue of freedom, a bronze statue represents female figure holding sword and wearing military helmet crowned the dome in 1863. The visitation to capitol dome is also limited to selected guests and members of congress. 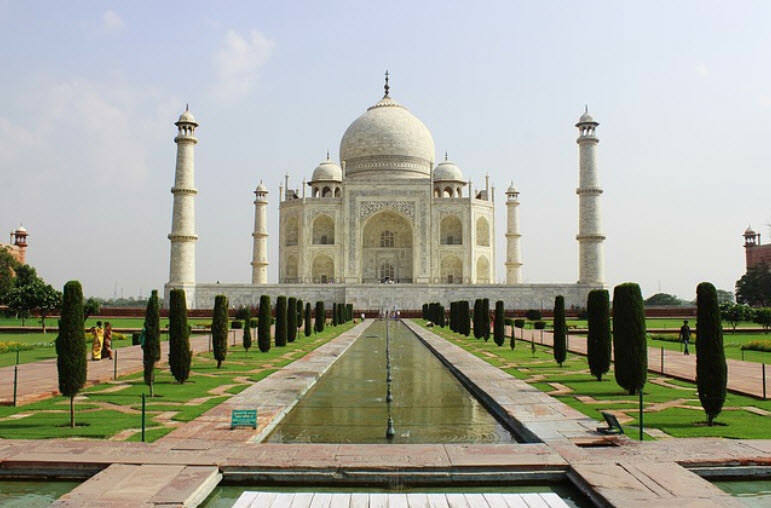 Taj Mahal in Agra city of Uttar Pradesh is one of the most recognizable landmarks in India. The impressive bulbous marble dome itself is the most focal point of the monument. The dome reaches to a height of 144 feet from the base. It built on a large cylindrical drum. The lotus design at the top of the dome offer prominent look. There are also four smaller domes at the corners of the monument which have same shape of the main dome. The impressive finial at the top of the dome reflect the fusion of Persian and Hindustani decorations. Taj Mahal was built as final resting place for Mughal empress Mumtaz Mahal, commissioned by emperor Shah Jahan. The construction of the marble mausoleum started in 1632 and completed in 1653. A fusion of Miughal, Islamic, Persian, Ottoman Turkish and Indian architectural styles were used for the construction of Taj Mahal. There were 28 different types of precious and semi-precious stones used for decorating the burial tomb in the monument. The tomb of Mumtaz Mahal also inscribed with 99 different names of Allah.